Abdulai Abubakarr Sesay started his activism, gender and development work since 2002 during his high school days at the Saint Edward Senior Secondary School at Kingtom Freetown. In order to contribute in addressing violence and gender inequality in school and among youths and women, he founded the first organization called Tangible Academic Youth Forum Organization (TAYFO). During this era, Abdulai joined many organizations to champion human rights and gender issues such as campaign for the enactment of the three gender laws that protect the rights and of women and girls, national youth policy that promote the empowerment of youths and Anti-Corruption Bill called access to information. Abdulai’s passion as a Human rights and gender activist led him to an initiative called Men Engage Africa Alliance which he is currently serving as co-chair at country level, and a member of Men Engage Global Alliance. This initiative is geared towards engaging men and boys to promote gender equality and transformation. The initiative has helped to address gender based violence, sexual reproductive health rights and health related issues like HIV prevention and treatment. In late 2008, Abdulai saw himself as a Global TB Activist when he contacted Tuberculosis (TB). He went through a devastated period where he lost his coursin and wife as a result of TB. Abdulai survived from TB in 2009 and then decided to mobilize his former TB colleagues to form a network of TB patients and Civil Society to advocate and champions TB and TB/HIV related issues both at national and international level. Today, Abdulai is the National Executive Director of the Civil Society Movement Against Tuberculosis Sierra Leone (CISMAT-SL) an organization that advocate for the rights of TB patients and promotes access to TB treatment and services for TB and TB/HIV patients. Through the dynamic and transformational leadership of Abdulai, CISMAT-SL is now a house hold name known for TB, TB/HIV advocacy both in country and beyond. Currently, the organizations has established 140 Community TB Animators (CTAs) that monitor TB and TB/HIV service delivery to enhance Community Health System Strengthening. Today the organization is an implementing partner of Global Fund under the National Tuberculosis Control Programme grant. Among the strategies Abdulai used to develop his organization (CISMAT-SL), are partnership, effective coordination, Advocacy and community engagement. Abdulai is an initiator who believed that Community Health System Strengthening is one way to promote effective health service delivery and as such, its stimulate community inclusiveness in service delivery. It was due to this philosophical thinking Abdulai mobilized colleagues working on HIV/AIDS, TB and Malaria to form an organization called Consortium for the Advancement of Rights for Key Affected Population (CARKAP). Over 1 million U.S dollars has been allocated to the organization by the Global Fund to address Community Health System Strengthening in the country. 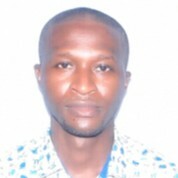 Abdulai is a member of Communities Delegation to the Board of the Global Fund, Global Fund Community Rights and Gender Advisory Group, Africa Coalition on TB (ACT! ), member of the Global Advisory Panel on TB HLM Affected Communities and Civil Society of Stop TB Partnership. Abdulai has won the following awards: Effective Community Monitoring for Accountability 2017, Outstanding Youth Entrepreneur for the year 2015 and Human Right Youth of year 2011. Abdulai has a Degree in Business Management and Administration at the Institute of Business Studies and Administration (IBSA) however, Abdulai has acquired several certificates and capacity building trainings ranging from Project Management and Organizational Development, Human Rights and Gender Studies, Monitoring and evaluation, Sexual Reproductive Health Rights and Youth Development.